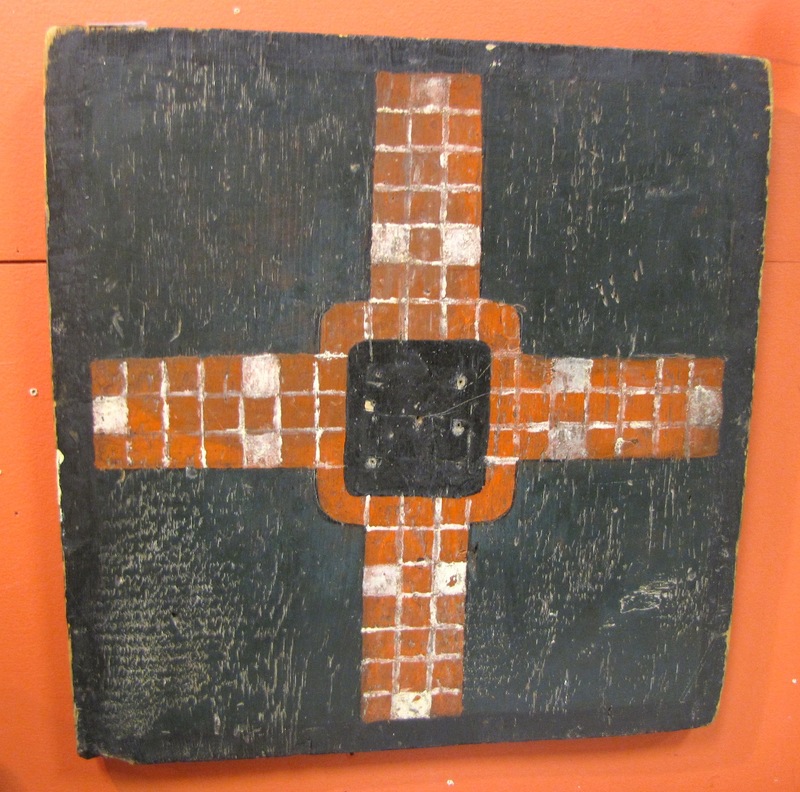 A naive parcheesi board from Quebec, circa 1880. All in original condition and paint. The reverse is painted but there is no game on it. Made from one board. Size 19 1/4" by 20".